Good morning! 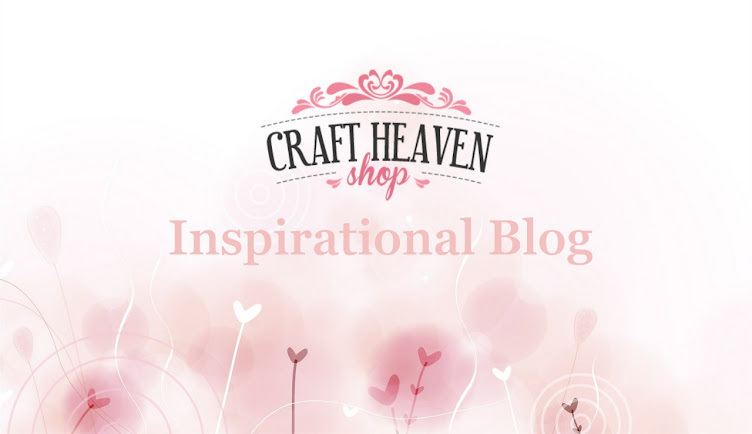 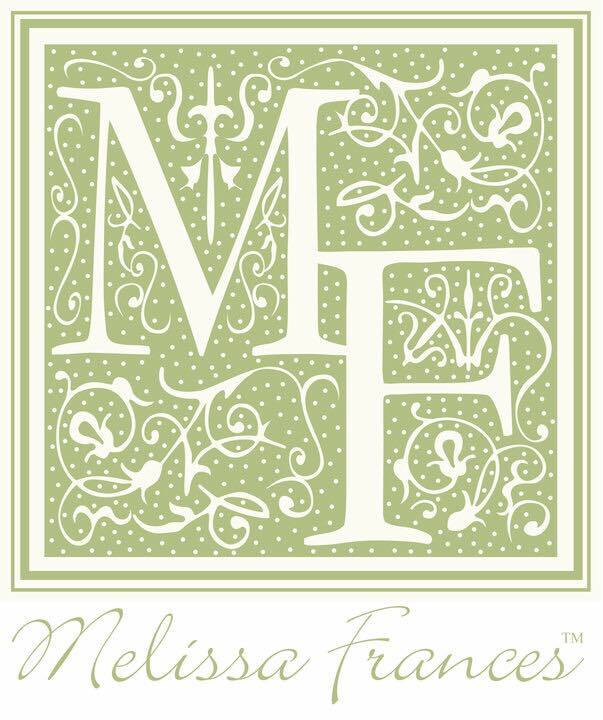 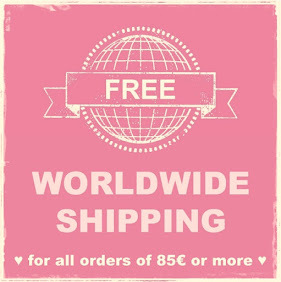 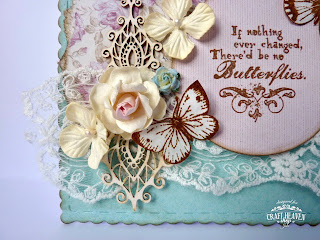 Today I have two cards for the price of one to share with you! 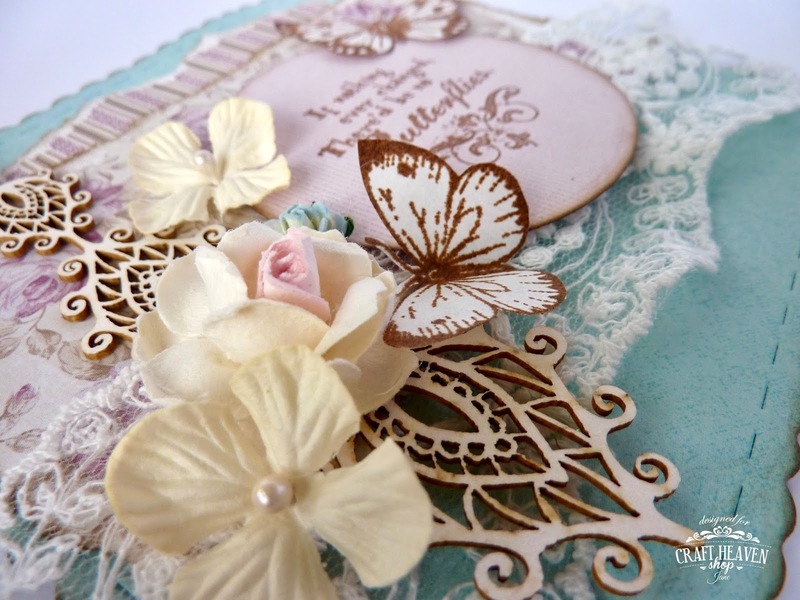 I made these cards for two of my colleagues who left last month to move on to pastures new. 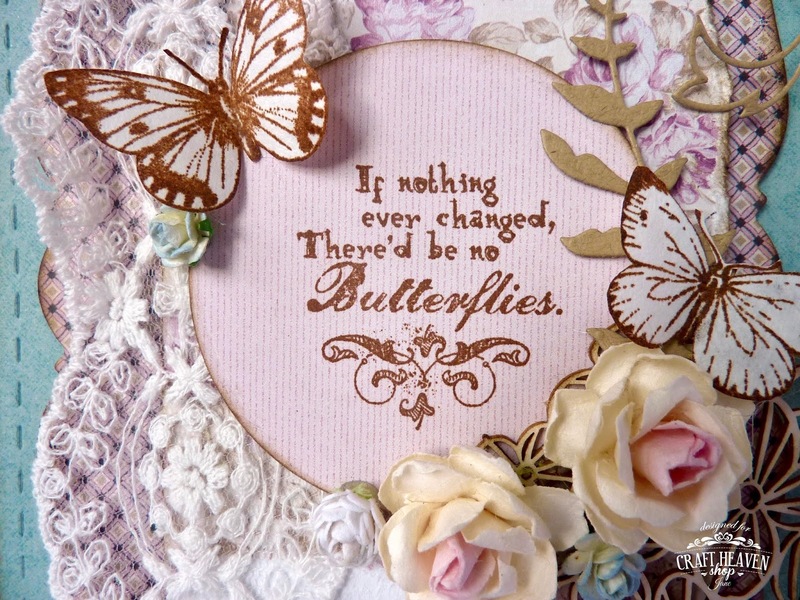 I love this Stempelglede sentiment from the Follow Your Heart set for 'Sorry you're leaving' cards. 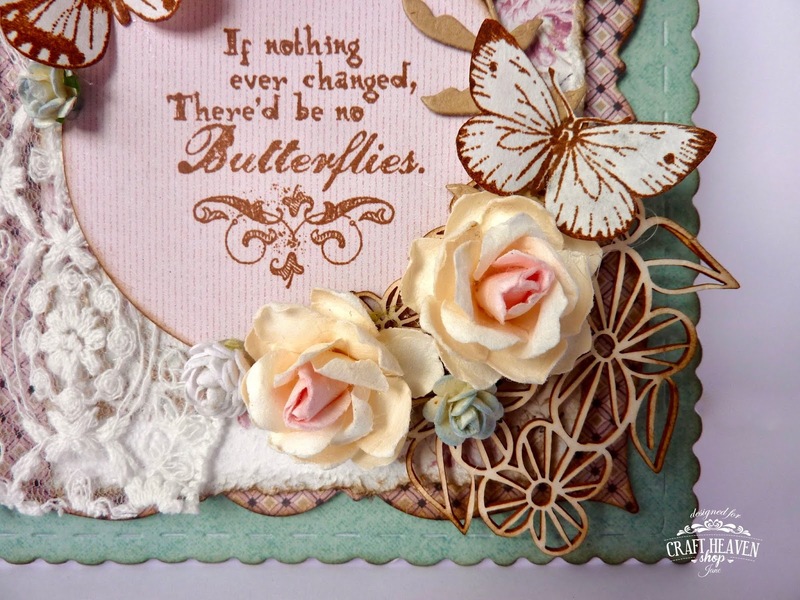 I have used Maja Design Celebration Papers for both cards. The cards were cut with a Magnolia Doohickey frame die from Volume 13. 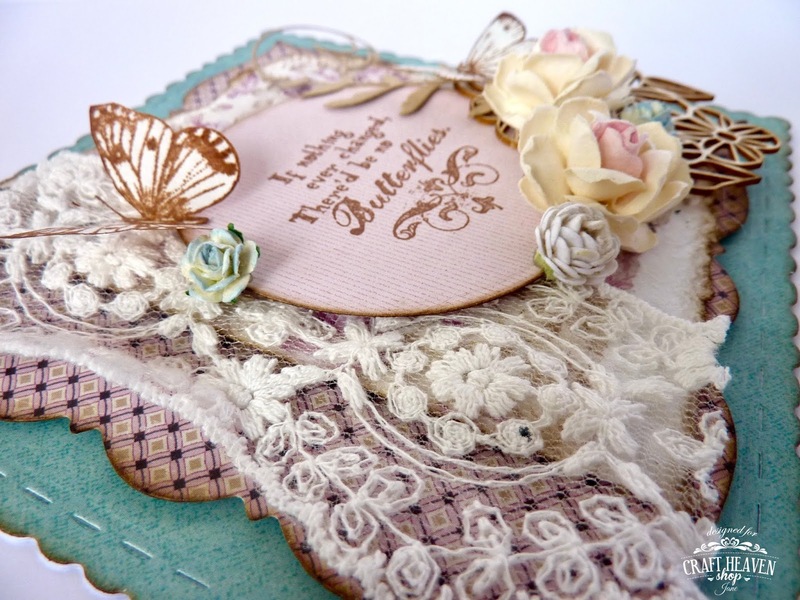 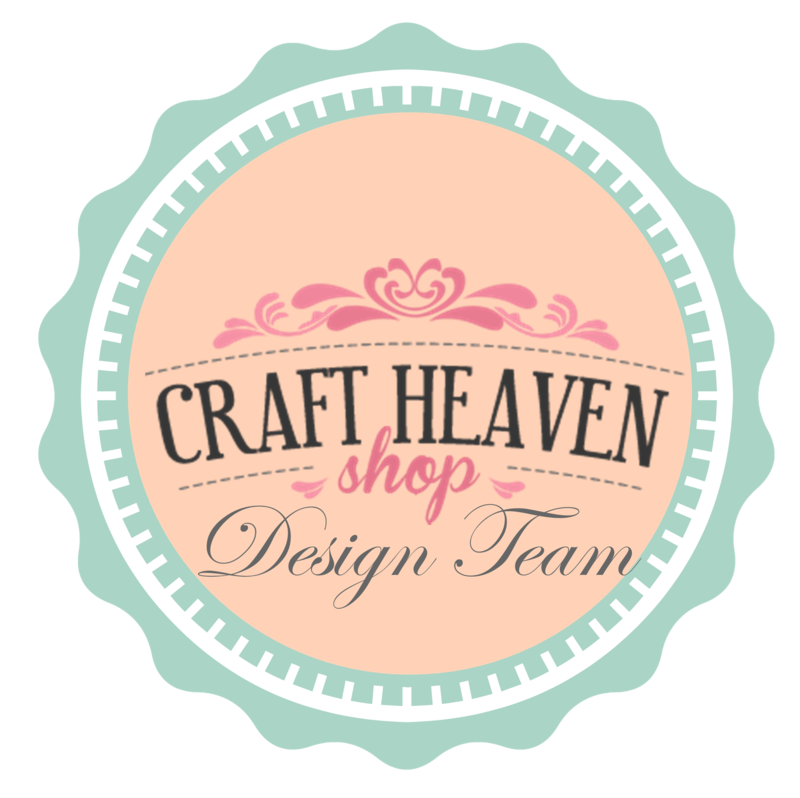 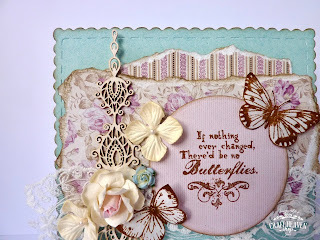 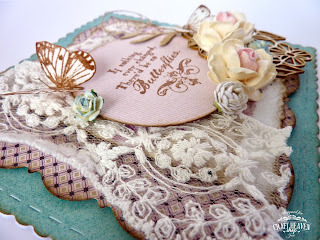 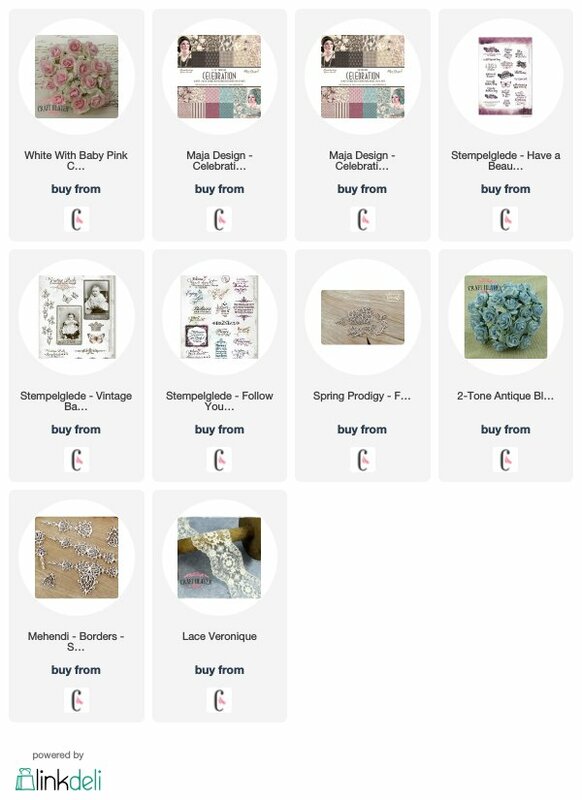 I have used some beautiful lace from Craft Heaven on both cards along with Scrapiniec chipboard pieces. 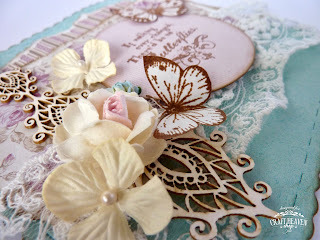 ...and this one is from the Mehendi Borders set. 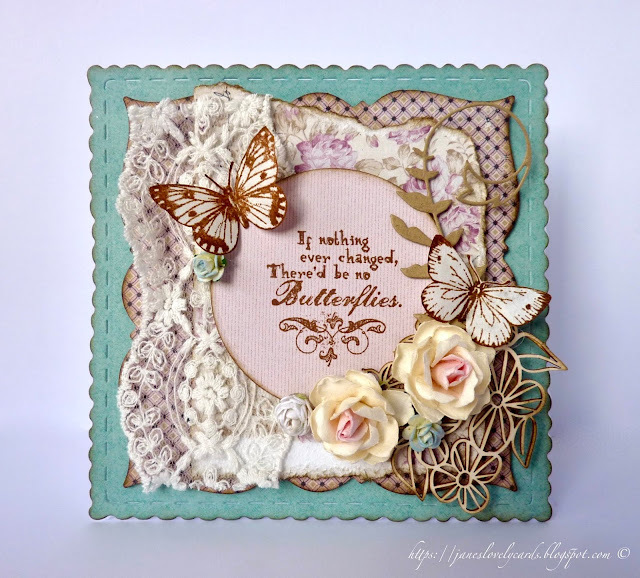 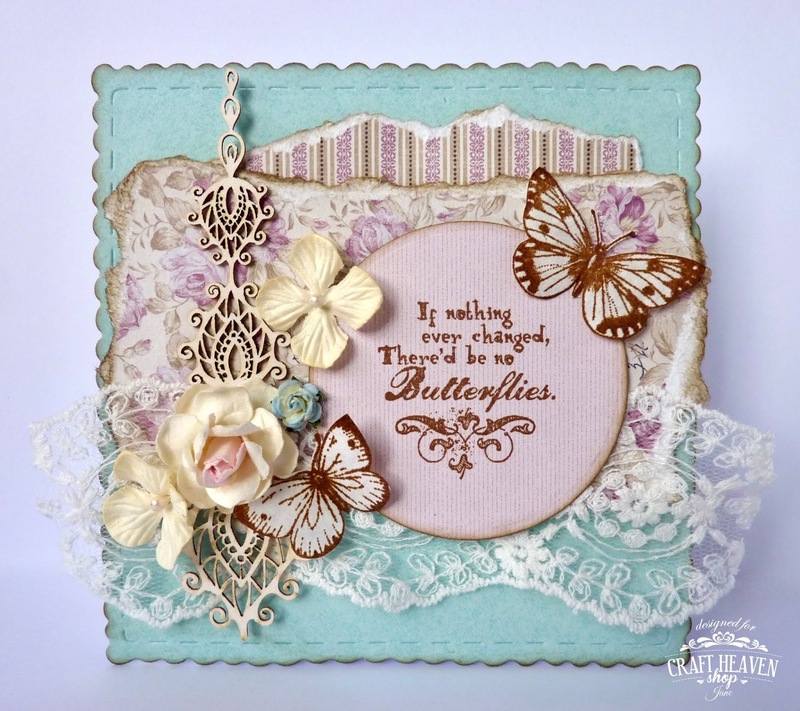 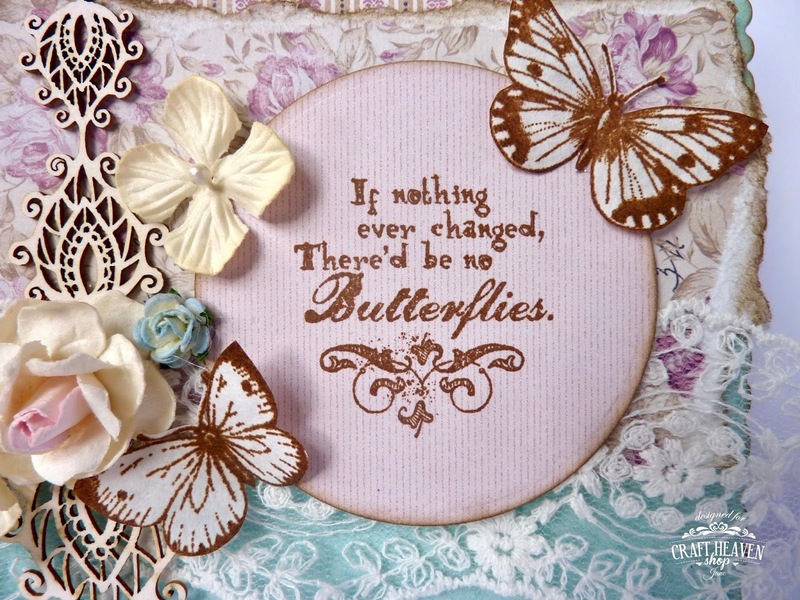 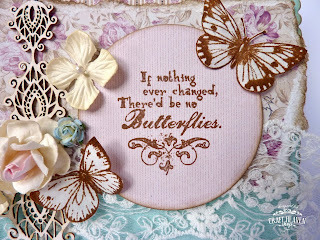 I have stamped butterflies from Stempelglede's Vintage Baby and Have A Beautiful Day stamp sets onto coffee filter paper to adorn both cards. 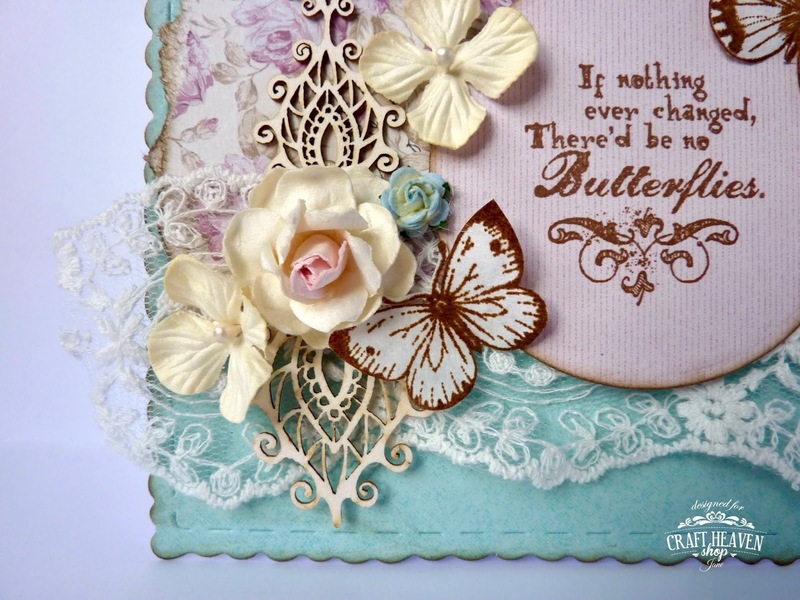 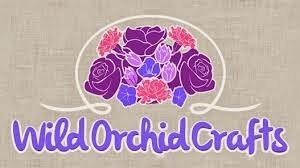 I have also added small blue roses and larger white and pink roses along with some hydrangeas from my stash.